Much like all leading sports stars, football players have to ensure that their fitness level is of the higher standard. Conditioning is vital for football players of all standards and could be the difference between yourself and an opponent. Elite players such as Cristiano Ronaldo take conditioning very seriously. When he first made his debut for Manchester United in 2003, he was told that he needed to become bigger and fitter to make the grade. That lesson has stuck with him throughout his career and ensures that he is one of the fittest players in the world even when the season is drawing to a close. This is the reason why his club side Juventus, remain among the favorites to win the UEFA Champions League with NoviBet. So, what training programs should keen football players be interested in? Here are three that every footballer needs to utilize in order to maintain that competitive edge on the field. The obvious training that all aspiring football players should do is endurance training. Football matches last for 90 minutes and very little of that time is spent standing still; meaning that good cardiovascular fitness is the bare minimum that is needed. This could be achieved by going for a run for at least 30 minutes twice a week. It doesn’t have to be a difficult run; it just needs to get the blood flowing through your body. Over time you will feel the significant benefits of this when it comes to your game, as you will still be a healthy level when other players on the pitch are faltering. As a player, you will have the edge on the opposition. When partaking in this training, you should consider the position that you play; for instance, if you are a central midfielder, you will need to be able to run for a more extended period of time than a central defender. Unlike many other sports, footballers have to be fit for both long periods and also short burst of sprints. Unlike endurance training, interval training is vital for all types of player’s, as the need for short bursts of speed is needed for all positions. Also unlike endurance training, interval training has to be hard work. The athlete must work at a higher level for the rewards to be felt. 100-metre athletes commonly use this as it works on reaction timing as much as the sprinting speeds itself. You can set out cones at least 50 metres apart and sprint from one side to the other. There must be a more extended rest period in between sets for you to catch your breath. This type of training could be the difference between running away from a defender to score a vital goal and your team losing an important game. The importance of weight training has a brilliant outcome on your general fitness as well as improving your performance on the football field. It is essential for all positions as it develops a player’s explosive power as well as their strength. This can be achieved through bench presses and bicep curls. Of course, since football is a sport where your legs are needed, it is essential for you to be working on all muscles equally. To improve explosive power further, you can work with a plyometric box. Here you can aim to jump up and down from it as many time as possible within a minute, but remember not to lose the standard of the jumps. 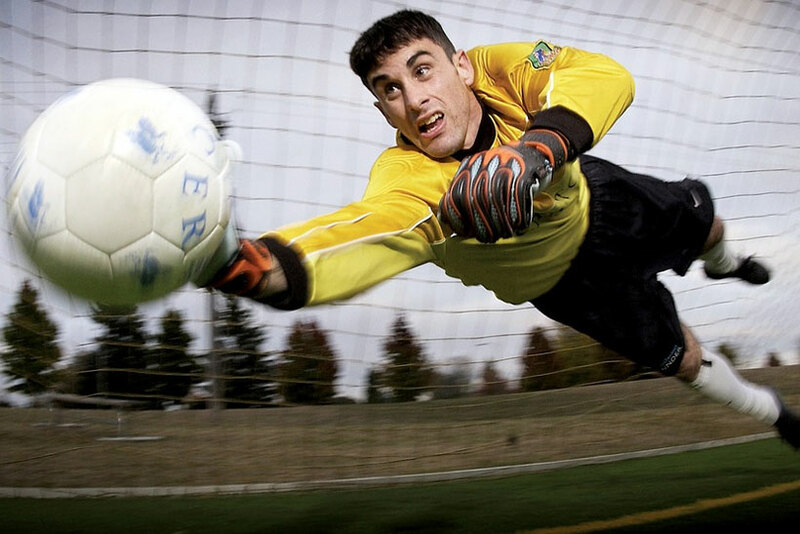 To maintain the peak performance necessary to compete as a competitive footballer, your training program and conditioning is just as important as your skills on the field. Utilizing endurance, interval, and weight training is what I like to call the three keys to success. You’re Pretty Sure You Have a Concussion — What’s Next?